Think about the last time you wanted to get outside. Maybe you considered renting a kayak, or sourcing fishing poles from friends... but you didn't know where to go, or what equipment you'd need. It all seems so complicated, especially when you're on vacation in a coastal beach town. The good news -there's a solution! All you have to do is pack your snacks and drinks of choice and show up - iTREKKERS has you covered when it comes to getting outside in Madeira Beach. A new partnership is making it easy to get out for guided tours in Madeira Beach. iTREKKERS, the guided outdoor adventure company headquartered in Tampa Bay, has partnered with the John's Pass Village Association in an effort to help people experience the beautiful outdoors that Florida has to offer. Together, they aim to help visitors to the area get outside with ease, from local residents to first-time vacationers. iTREKKERS helps take the guesswork out of getting outdoors for adventurous or new activities like kayaking, SUP tours, guided fishing, hiking, camping, and more. 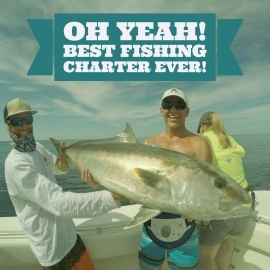 All equipment is provided on all trips, including fishing charters. This means you don't have to worry about bait, poles, coolers, or even a fishing license for boat charters - the professional captains that iTREKKERS pair you with has it all covered. Simply call 1-844-468-8735 or visit itrekkers.com to reserve a date for your guided inshore or deep sea fishing charter in Madeira Beach right out of Johns Pass Village & Boardwalk. Enhance your Madeira Beach vacation by taking a spin on a kayak or stand-up paddleboard, or joining a pro captain on a guided fishing charter. They’ve got everything covered, from the equipment to the fishing license! You can learn more about how it works here, but it’s as simple as reserving your trek and showing up at the launch point – also located in John’s Pass. In Madeira Beach and Johns Pass Village & Boardwalk, your group can step off of the boardwalk and onto a boat. Once you get out on the water, be on the lookout for marine life! Fish, manatee, pelicans, dolphins, and even shark might pass by. Captains will help first-time anglers with baiting their hooks, casting, and later cleaning and filleting the fish you keep. The small and quaint fishing village of John's Pass was created when a hurricane ripped through the area in the mid-1800's, creating the pass that today separates the peninsula from the next small barrier island. There is an annual festival named for the sea turtle farmer who founded the area: John Levique Days Festival at John’s Pass Village. It's a place that draws visitors every day, thanks to a laid-back vibe, fresh seafood, live music, and a bustling boardwalk and village area. Being steps from the beach doesn't hurt, either! 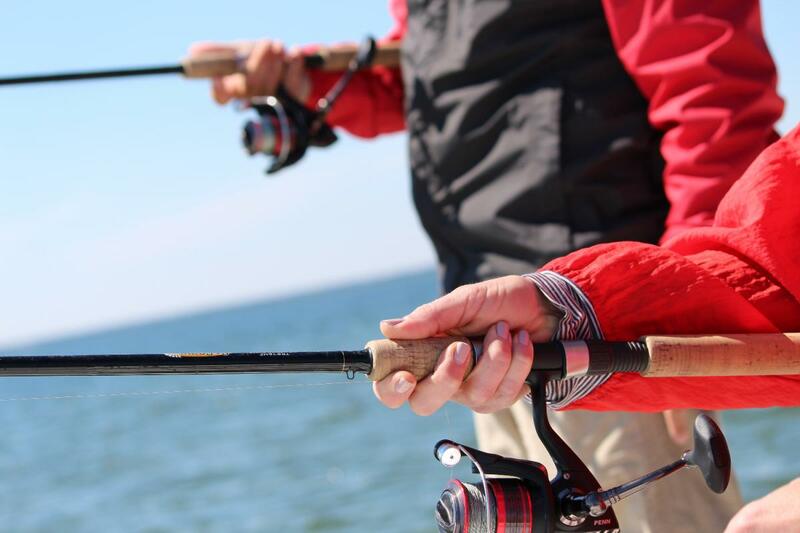 Guests can seamlessly transition from a morning of exploring the local attractions at nd nearby Madeira Beach to an afternoon tarpon fishing or nearshore Gulf fishing trip with a pro guide. They know where the fish are biting! Alternatively, take on a morning deep sea fishing adventure. Then, head back to port just in time for dinner at one of the many local Madeira Beach restaurants, or grab craft mad brews and appetizers at Mad Beach Craft Brewing Company. iTREKKERS enables outdoor adventures by connecting the public to expert guides in Florida. With an emphasis on the customer experience, iTREKKERS follows a rigorous guide and gear vetting process to ensure customer satisfaction with a 100% money back guarantee. Whether it’s a corporate offshore fishing retreat, family camping trip, or paddle boarding with friends – you can find the perfect adventure, and make memories that last, on www.itrekkers.com. Johns Pass was developed when a hurricane tore through the area in 1848, creating the pass. Shortly after, a pirate named John sailed through, and the name was born. Today, the village is a popular tourist destination on Florida’s west central coast. With shops, boutiques, bars, restaurants, attractions, and fun things to do both indoor and out, there’s something for all ages at John’s Pass Fishing Village and Boardwalk. The area also hosts an annual Seafood Festival that draws a large crowd each October. Learn more about John’s Pass and Madeira Beach.